On average a woman gains 11 Kg during pregnancy. Women typically lose this weight during childbirth and during the postpartum period. Sometimes women gain as much as 20 Kg during pregnancy and this is much harder to lose. Women who are overweight before getting pregnant find it even harder to lose this extra weight. One solution is that women may be prescribed Phentermine to help them lose weight. Phentermine can help lose weight at a steady pace, between 6 months and 1 year. It’s best that weight is lost at a steady rate after pregnancy to avoid putting it back on. It’s recommended that women take one pill of phentermine a day first thing in the morning or shortly after breakfast. Phentermine works best when it’s used as part of a proper diet and exercise regime. Women can start taking phentermine any point after their pregnancy. One thing to note is that it can find its way in to your breast milk. The phentermine will enter the baby through your breast milk and it can have harmful effects and damage the health and behavior of a baby. If the child does get exposed to the phentermine they may lose their appetite, become sleepless and irritable, and suffer from tremors and diarrhea. If you want to lose weight using phentermine then it’s recommended that you stop breastfeeding. Because breast milk really is the best thing for your baby and it helps them grow and develop properly you should wait 6-8 months to stop breastfeeding and start phentermine. If you don’t plan on breastfeeding you can get started with phentermine right away. It’s recommended that you don’t get pregnant during your time phentermine. It’s been proven that phentermine can have some nasty effects on a developing fetus and can cause malformations. So it’s recommended that you take birth control pills while on phentermine. There have been studies that show phentermine doesn’t affect how efficient oral contraceptives like the birth control pill are. You should be aware that some of these contraceptives may cause weight gain. As such you should consult with your doctor about which birth control pill won’t cause weight gain. Experts believe that progesterone based birth control pills don’t cause weight gain and are safe to use with phentermine. Phentermine is typically taken for 12 weeks. Taking the pill for longer than this can cause dependence issues and other psychological issues. If you need it you can go back on phentermine but you do need to wait 3 months before going back on the pill. You should also maintain a proper diet and active lifestyle after you come off of phentermine to maintain your weight loss. It’s important that you learn about the side effects and contraindications associated with phentermine without RX before you buy it. 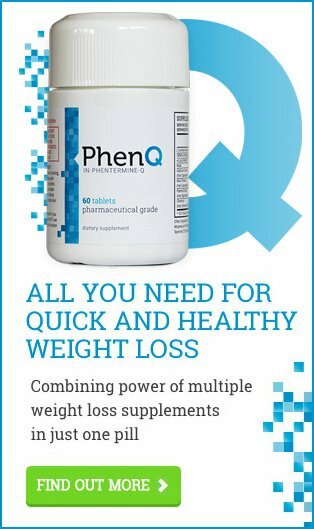 If you do some research and find that phentermine isn’t right for you there are other prescription drugs and over-the-counter pills that can help.